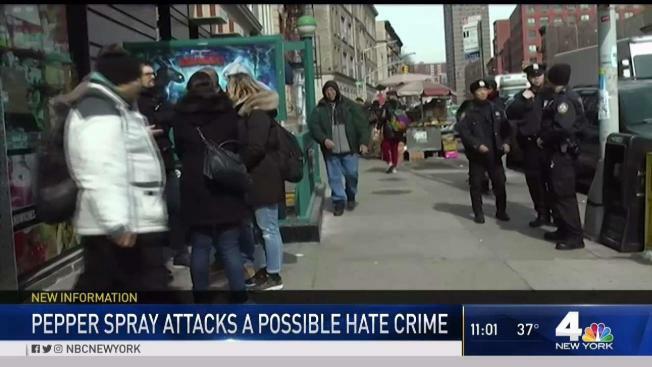 A suspect is in custody after a bizarre series of spray attacks on Manhattan subway passengers Friday afternoon, which police are probing as a possible hate crime. The woman was arrested Saturday, the NYPD said. They confirmed her name as Thomas J. Heard, 37, of the Bronx. Heard, who is transgendered, was arrested after assaulting another young woman in the Bronx, police said.